The Black Watch Castle and Museum, the regimental museum of Scotland’s famous elite regiment, wondered who painted their elegant portrait of Lieutenant Colonel John Graham of Duchray and Rednock, who was a Lieutenant Colonel in the 42nd Highlanders. The portrait had been attributed, like so many others of the period, to the great Scottish portrait painter Sir Henry Raeburn (1756–1823). A variety of portrait specialists got involved in the Art Detective discussion around the portrait, including regulars such as Bendor Grosvenor, star of the BBC’s 'Fake or Fortune'. 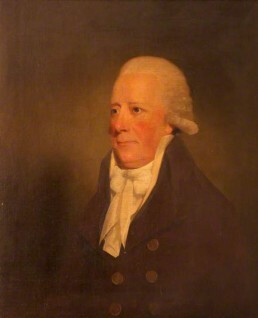 Duncan Thomson, ex-Director of the Scottish National Portrait Gallery was consulted and doubted it was, as an earlier contributor had suggested, an early work by Raeburn. Two further less well-known possibilities were suggested, the Scottish portraitists David Martin (1737–1797) and Archibald Skirving (1749–1819). Experts on these two artists were consulted, Lucy McNeill and Stephen Lloyd respectively, and, having been brought on board by Art Detective contributors, were able to give provisional support for an attribution to their respective artists. Like many discussions about attribution on Art Detective experts are hesitant without being able to study the actual painting ‘in the flesh’, but to have these two new names associated with the painting has been welcomed by the Black Watch Castle and Museum and the attribution has been changed. Who painted this portrait of Lieutenant Colonel John Graham of Duchray and Rednock?